Solar power for homes has never been so affordable. 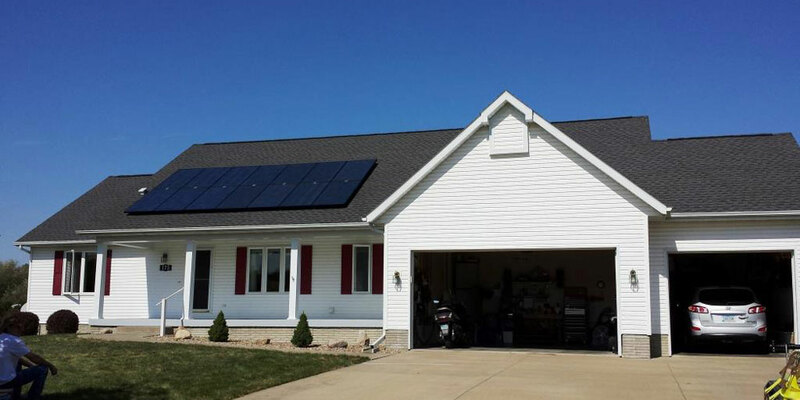 CB Solar can provide electricity for any type of house, greatly reducing or even eliminating your monthly bill. 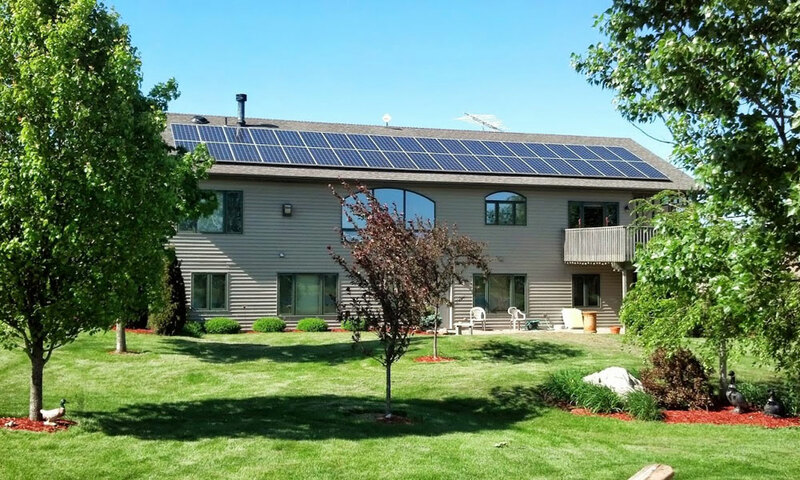 A 3.5kW array is all this house needed to reduce their bills and go green. This customer requested all-black panels for a sleek look. 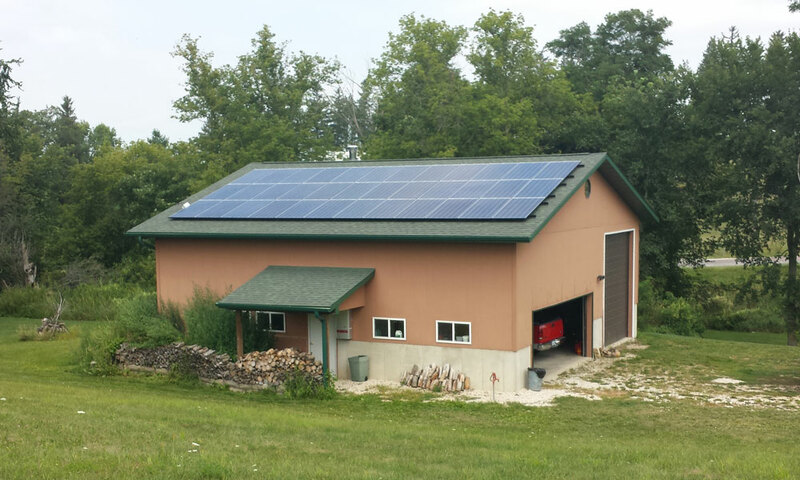 This customer also added internet monitoring to their 10.1kW solar system so they have the capability to monitor their production daily, monthly, and yearly. This 9kW poly-crystalline array was placed on a customer’s detached workshop. We can make use of most buildings to help lower your utility dependence. This 4.2kW system combined with a wood burning stove led to our first net-zero home. The high-tech look of the panels give a sharp contrast to this log home on the Lake Panorama National Golf Course. 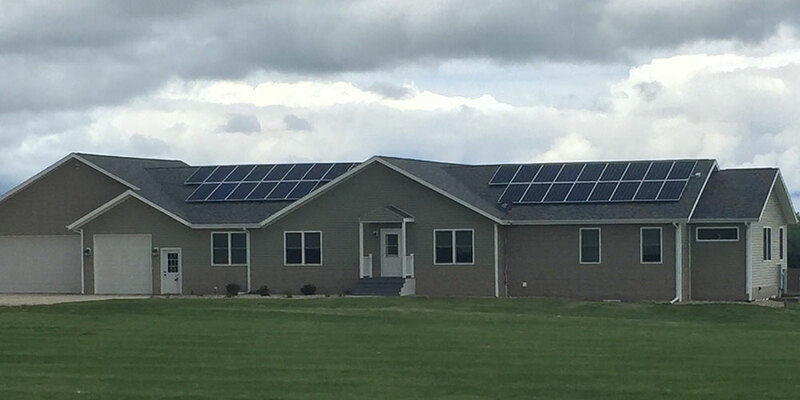 This larger home made use of a 12kW system to cover their bill. 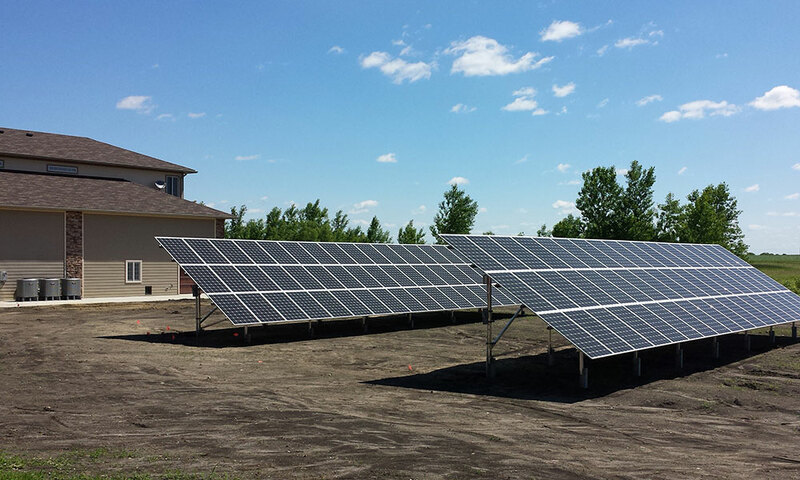 The large mono-crystalline panels let us put up maximum power on the space provided. This larger residential system feeds both a home and a large workshop/living quarters. 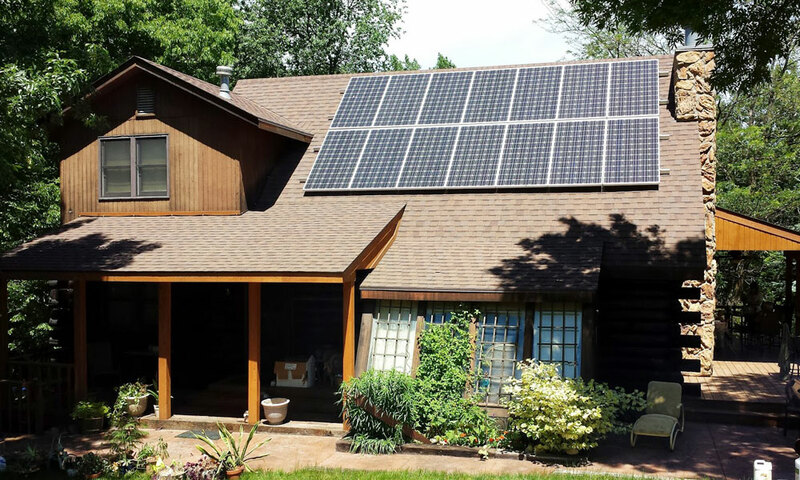 CB Solar can provide a system to match any amount of usage.